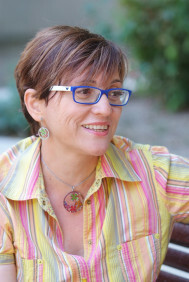 M. Mercè Cuartiella was born in Barcelona in 1964. She has been involved in intense cultural activity since a young age. She has published several plays, including En tránsito (2001) and Entiérrame en Pekín (2006). In 2012, she published the novel Germanos, casi gemelos, which received the Librero Prize, and in 2014, El asunto marsellés. The same year, she received the Mercè Rodoreda Prize for Gente que tú conoces, published in 2015 by Proa.